So I’ve been going back in fourth with the dealership here in Northern Cali about my car experiencing ruff cold starts. The car will shake and create an extremely low rev but after a few mins the car starts to sound normal again and runs fine (lots of white smoke when starting it cold). So Mazda told me that I needed new coils and plugs so I had Mazda replace the engine coils and plugs and so she runs fine for a month; AND now the engine throws a P0076 (SSV Solenoid Circuit Low on 1) error . A)	What does Solenoid Circuit low mean? B)	Is the car drivable? If so for how much longer before that part needs to be replaced? C)	Is it true that the part usually only costs $110 bucks but labor is $500 + ? on a scale of 1-10, 1 being easy to do, 10 being very difficult to do, I would give this a 4. You need to take the Upper Intake manifold off and then the solenoids are very accessible. You can get to them without removing the UIM but I wouldnt risk breaking any of the plastic parts if you are not really sure how to do this. The part is about 110. The car will drive. 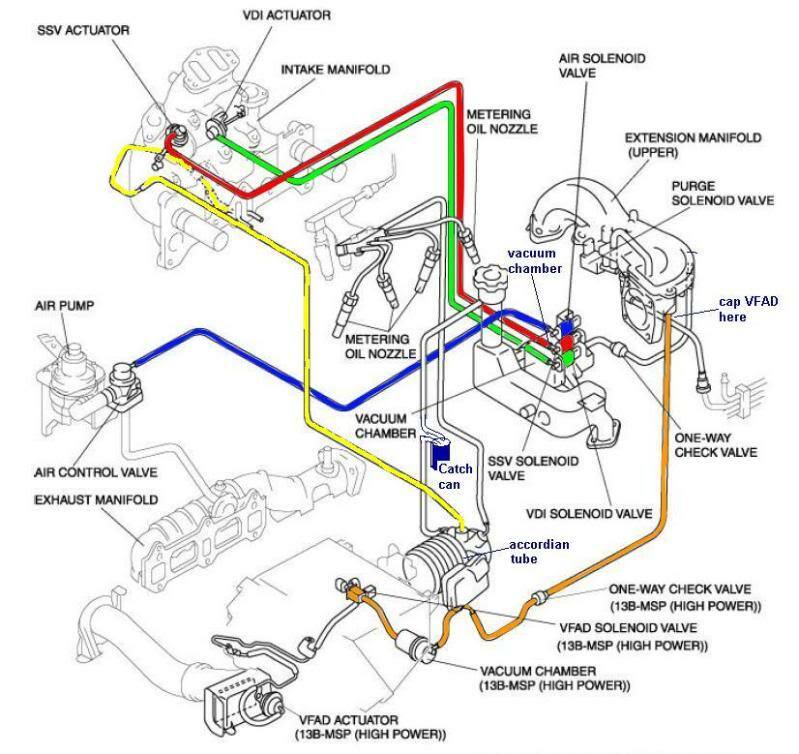 The ssv will not cycle because the solenoid isnt sending the vacuum signal. For removing the UIM, do you have a suggestions on where the best place would be to look for some type of manual on how to do this? I really don't feel like paying Mazda $500 bucks just to replace a $110 dollar part. it may be just the connection---get the manual and look up where it is and how to get too it. if you can change oil,coils. plugs you can do this if you follow the directions. Look up the code and then look up the ssv vacuum chamber/solenoid. removing the UIM is a some what easy task. You remove the throttle body and then remove all of the bolts from the UIM (8 of them, two are accessible from the bottom). Like OD said, when the car is cold, look behind the motor near the firewall. Just above and beyond the oil filter you will see 3 connectors (white, brown, and blue). The connectors plug into the solenoids for the ssv, vdi, and air pump. Each solenoid has a small black cap on it. You can pull the cap off and test the vacuum for each one. This also helps identify which on does which. Based on reading this thread I just changed out the middle solenoid (SSV) after getting a P0076 code. This did not fix the problem, still getting P0076 code. I've since sen that P0076 is associated with the VDI solenoid. Can anyone confirm this before I take off the AIM again? My car is a 2004. It runs fine except in very warm temps and then a slight loss of power is noticible. Also the engine temp increases 5 to 10 F. I don't get a light, but there is the P0076 code stored. u always swap ALL at once, cuz when one of them dies, the other 1/2 is not that far behind.